Being a wedding DJ in Montreal I get to work with some really great wedding professionals. Many of whom I’ve worked with over and over. This post, a “love list” is inspired by my friend Isabella (from Ella Photography) (shhh, she’s on our list too!). I would like to share the love with some of the great Montreal wedding pro’s I’ve worked with in 2012! Consider this our referral list, I highly recommend everyone on here. They are just fun, nice, good people! I plan to make this list an annual tradition too! Isabella has a great personality, and is always fun to work with! 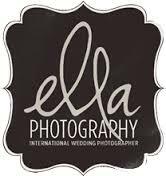 Check our her website and blog for her amazing wedding photography. She also started O’so Lovely, boudoir sessions, which can be a great idea as pre-wedding gift! Jennifer is full of energy and great to work with! She takes amazing pictures. Jennifer really makes you feel comfortable when she’s taking your pictures too, we should know, she did the Uptown Xpress photo shoot at her awesome studio last year! Check out her website! Or give Jen a call at 514-244-9776. Jennifer also does boudoir sessions, have a look on her Facebook page! I have worked with Monique from Studio Iris many times over the past few years, and each time has been great! Monique takes stunning photos! Jesse and Kayla are the videography team with Ella Photography. This young couple make stunning videos. Not to mention they are great people to work with. Check out their website. The guys over at Six Degrees do amazing cinematography work! There are a lot of new trends hitting the wedding videography scene, and they are definitely right on top of it! I just love their save the date videos too, have a look at their website. The Riviera is my favorite Montreal wedding venue for sure! The staff there is fantastic, the food is always fresh, and the venue is immaculate! Visit their website or call Frank S. at 514-355-5555. The Riviera is located at 7600, boul Henri-Bourassa E, Montreal. One of the venues managed by the PMG Group, the Embassy Plaza is a very modern, sleek venue in Laval. Their rooms are fully draped and look fantastic. Check out their website or call them at 450-781-0606. The Embassy Plaza Laval is located at 1003 Boulevard Cure-Labelle, Laval. Canvas in Lachine is a great venue to hold your wedding or any event. Mike is fantastic to work with, and the staff there is amazing. Canvas is the perfect combination of modern and rustic with its exposed brick walls, but modern furniture and lounge feeling. Visit their website or call Mike at (514) 726-3099. The address is 870 Notre Dame, Lachine. The Lion D’or is an amazing venue full of charm. The decor and architecture is stunning. The staff is wonderful to work with and very professional. Check out their website or call them at (514) 598-0709. The address is 1676, rue Ontario Est, Montreal. For those who are looking for a smaller venue, that is peaceful and away from the busy city, this is it! In Rigaud, with lots of gardens and great scenery, this venue is a very nice choice. Check out their website or phone Linda at 1-800-641-4241. Their address is 1171, ch. St-Henri, Ste-Marthe. Yes, even with our growing team sometimes we are fully booked and can not take a client for a particular date. When that happens I still want them to have an amazing wedding reception, even if we won’t be their wedding DJ. I will refer those clients to a few other DJs in Montreal who I can trust. When I refer clients to another DJ, I only refer them to DJs who have the same values as I do and who provide the same level of service too. Yvan and Tommy are a great team, and love what they do as much as I do. They listen to their clients and provide personalized service. Have a look at their website. Shane and I have been friends for many years and collaborate on numerous weddings a year. Like us, Shane cares about his clients and will do what it takes to make it their special day. Check out his website. If you looking for an officiant for your ceremony, FSEV is a great place to start! Whether you are looking for a more religious ceremony or more modern, you will find an officiant that suits your style! In particular we’ve worked with Gildo Conte and his wife Louise Guay, who can even perform your ceremony in Italian! Gildo and Louis also happen to be great photographers as well, check them out here http://www.gildoandlouise.com/. thank you so much for the mention in your love list stefan! you’re awesome!